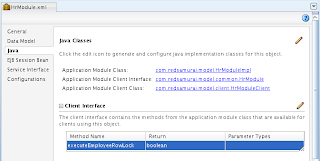 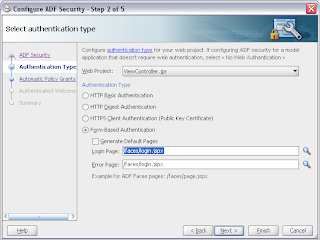 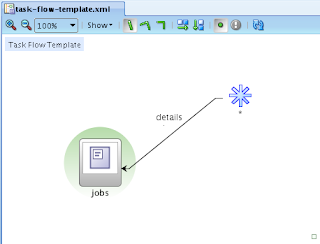 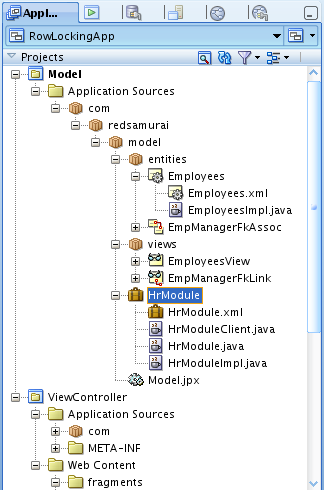 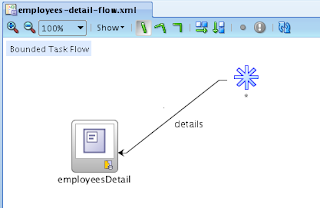 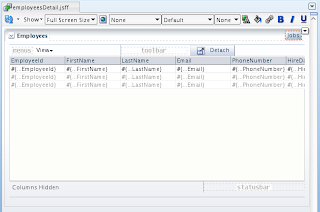 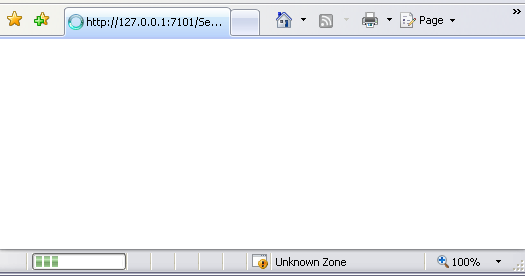 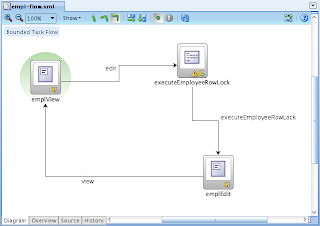 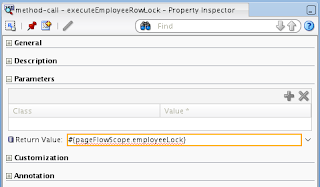 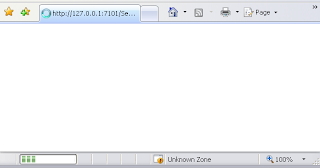 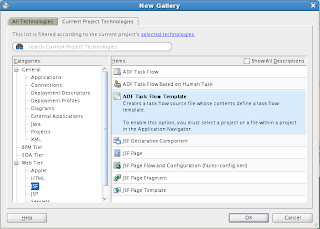 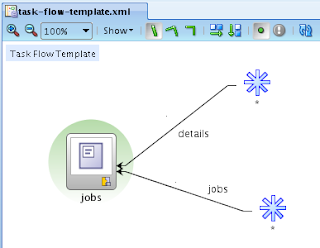 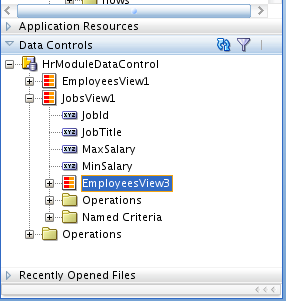 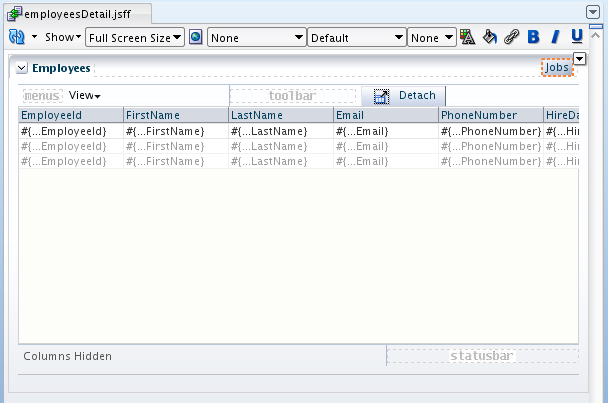 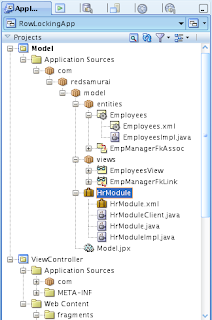 ADF task flow can be based on ADF task flow template by reference or by copy. 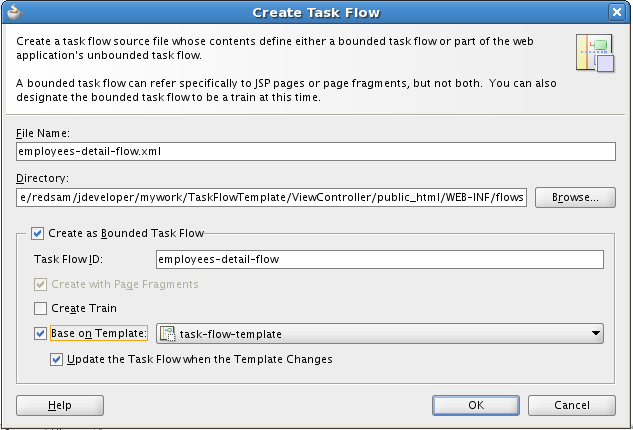 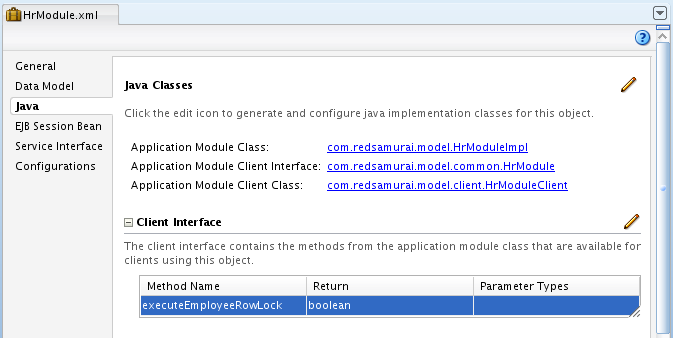 If we base it by copy, this means template contents will be copied directly into consuming ADF task flow. 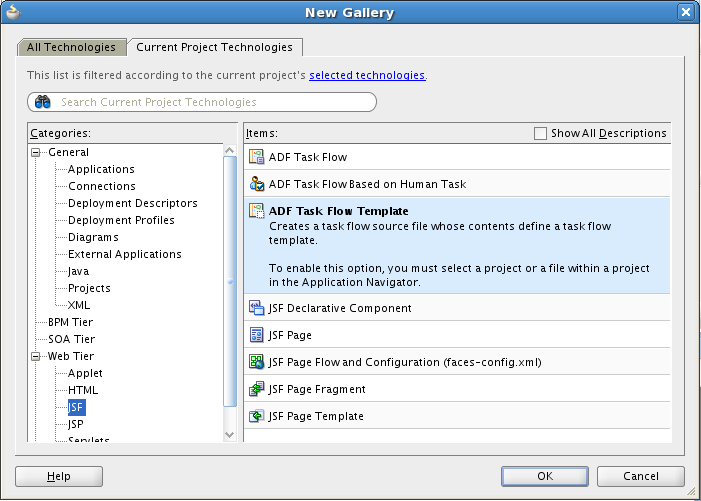 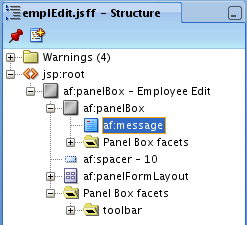 All subsequent changes happening inside template, will not be propagated to consuming ADF task flow. 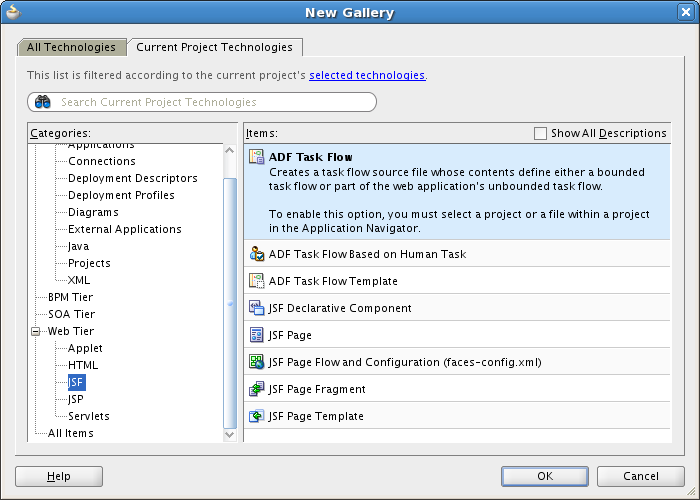 In the opposite, when ADF task flow is using template by reference - all template changes will be reflected in consuming ADF task flow. I would recommend to follow template by reference option, however you need to understand few tricks with this approach. 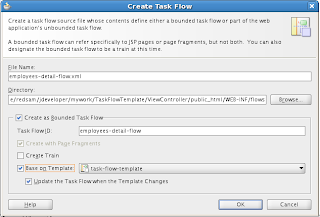 Today I will describe how to invoke navigation between ADF task flow template activity and custom activity from consuming ADF task flow. 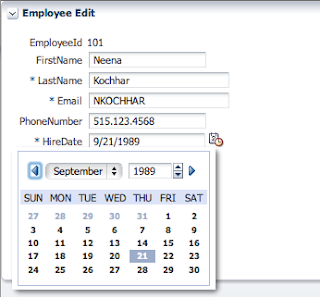 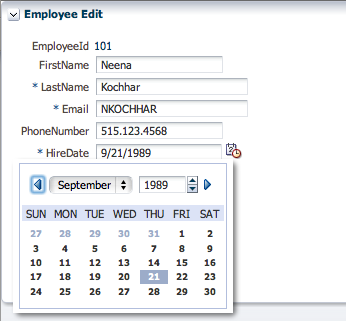 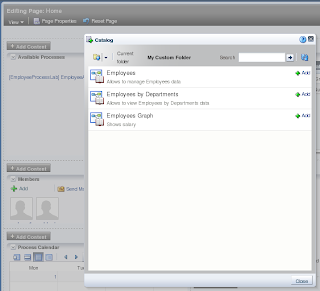 Oracle BPM 11g is attractive product for enterprise customers, one of the reasons - it can be integrated with custom enterprise applications through portal - Oracle WebCenter Spaces 11g. 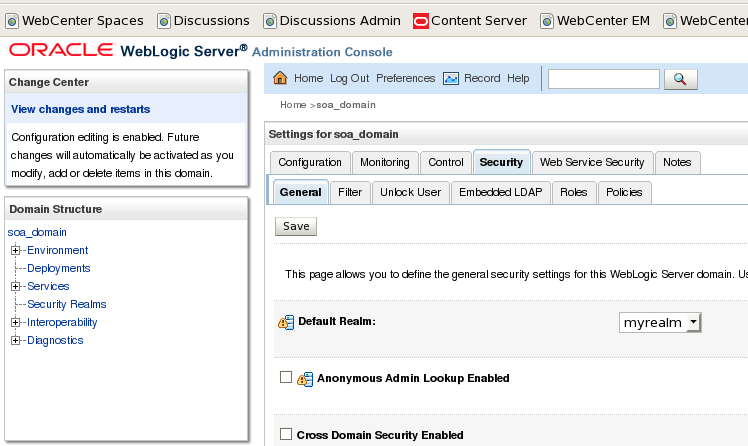 I had chance to discuss with several interested customers, most of them are facing issues to setup and run both domains together - SOA/BPM and WebCenter. 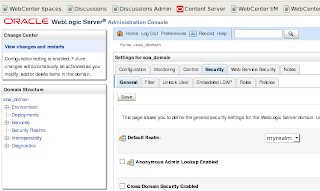 Time ago I have promised to discuss configuration process - Oracle BPM 11g Integration with ADF and WebCenter Suite - Quick Overview. It is very interesting and challenging topic. 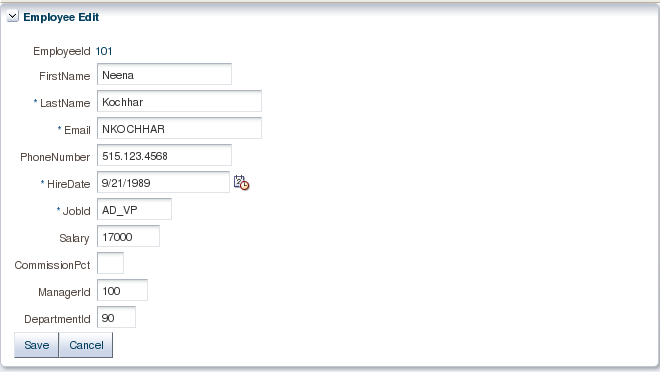 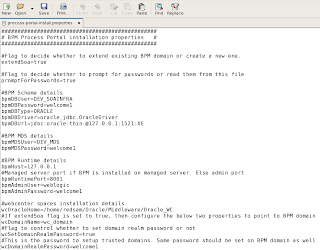 Chapter 3.2 Using Oracle Business Process Management Suite with WebCenter Spaces from Oracle BPM 11g Installation and Configuration guide is very abstract, without details. 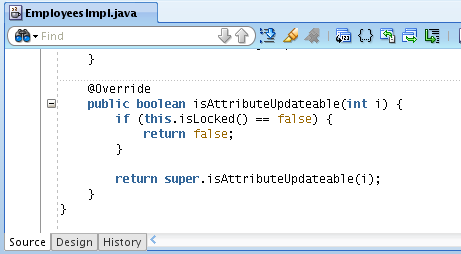 Its what I will try to fix today. 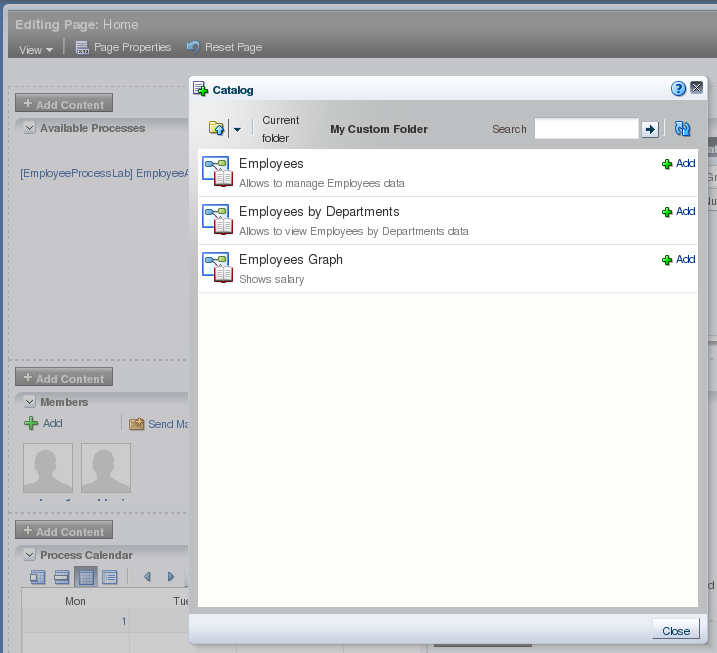 In order to get better understanding and to see sample screenshots of Oracle BPM 11g process portal, you can check Oracle BPM 11g User's guide chapter 9 Getting Started with Oracle Business Process Management Process Spaces (Process Spaces). 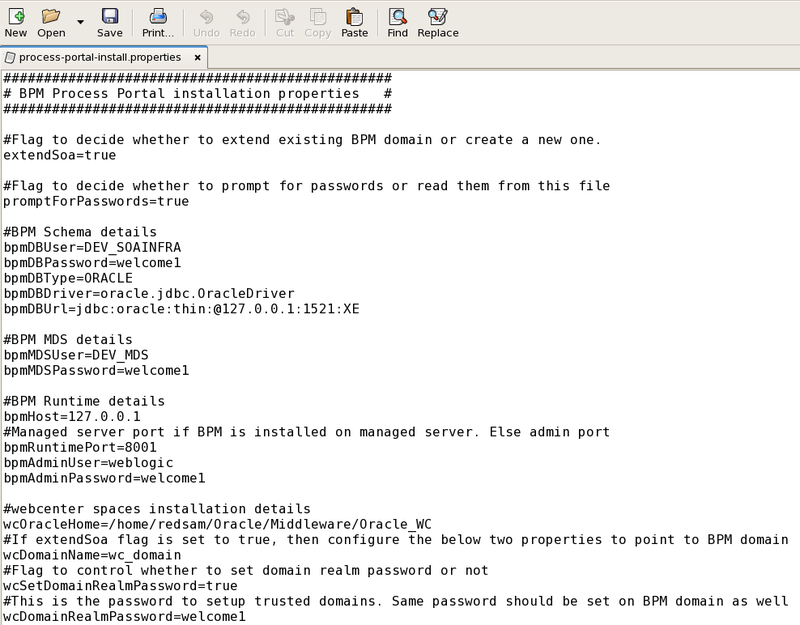 Finally, there is Oracle Fusion Middleware 11g Patching Guide, where you can find basic steps how to extend WebCenter Spaces 11g domain with Oracle BPM 11g functionality. 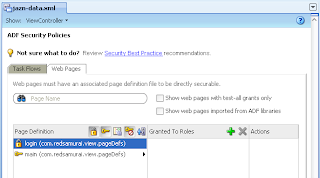 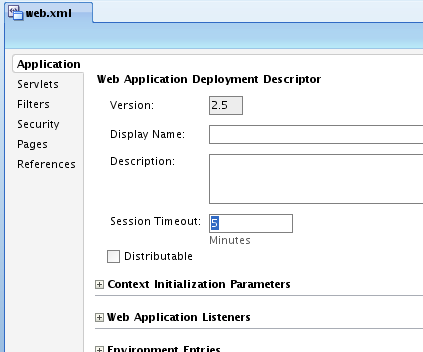 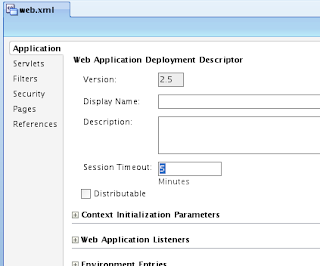 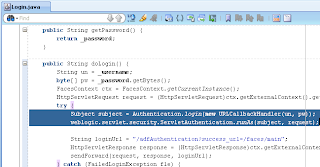 Read section 4.6.5.3 Enabling Process Spaces in a WebCenter Domain from this guide. 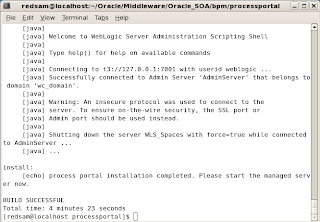 In few words, you need to go to Oracle BPM 11g installation folder, extract process portal package, provide valid parameter values, run script and thats it. 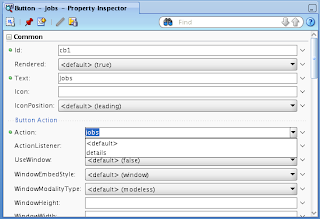 We will look today into these properties and will see how to extend WebCenter Spaces 11g. 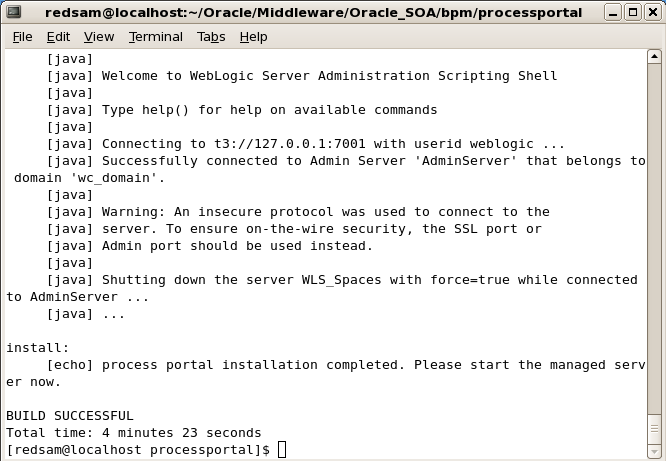 You can download Oracle BPM 11g and WebCenter Spaces sample configuration properties from my environment - process-portal-install.properties. 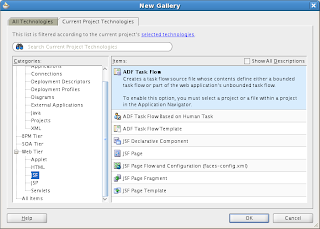 My process portal contains three ADF Libraries with custom ADF 11g task flows. 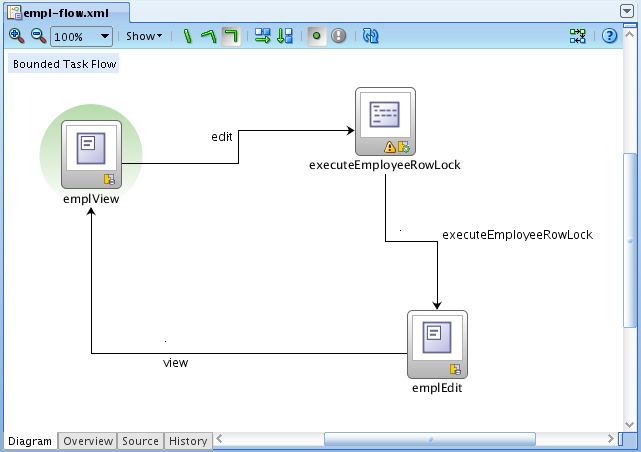 #Flag to decide whether to extend existing BPM domain or create a new one. 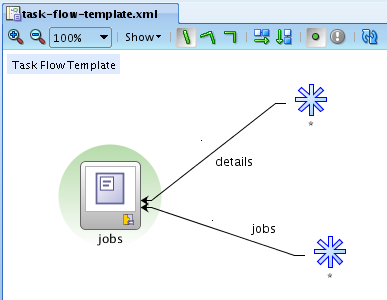 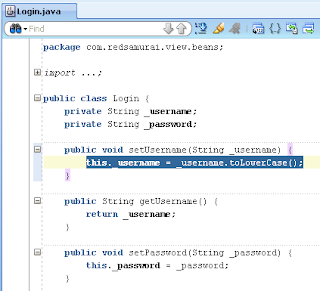 Default value is false, this means script will integrate Oracle SOA/BPM 11g and WebCenter Spaces 11g domains, also it will extend WebCenter Spaces 11g with standard ADF BPM 11g and custom ADF 11g task flows. 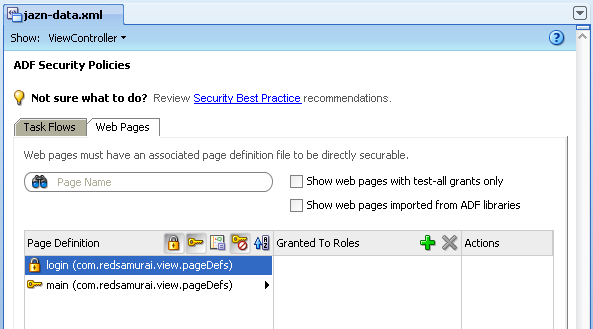 For initial script execution, always use false, once domains are integrated - always use true. 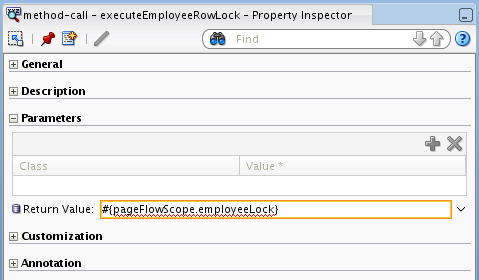 If these services already in place, set this property value to false. 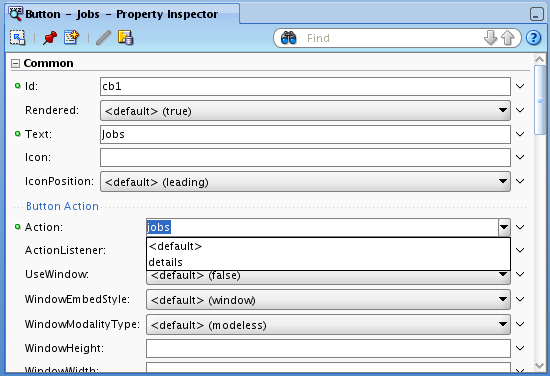 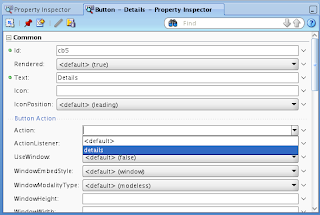 The rest of the properties, you can find in my sample installation properties file from above. 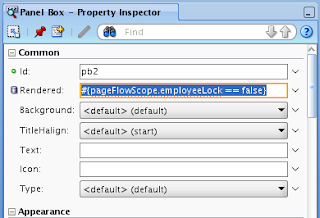 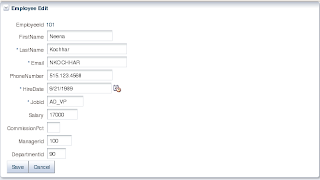 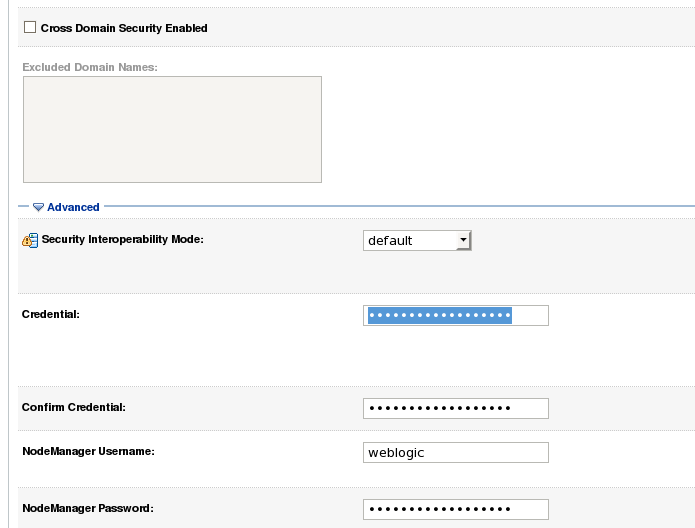 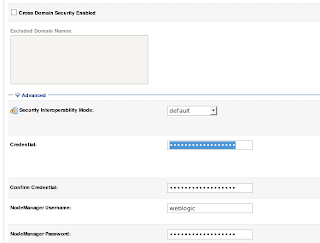 This will configure and integrate SOA/BPM 11g and WebCenter Spaces 11g domains together or will extend WebCenter Spaces 11g domain with custom ADF 11g task flows, bases on extendSoa property value. 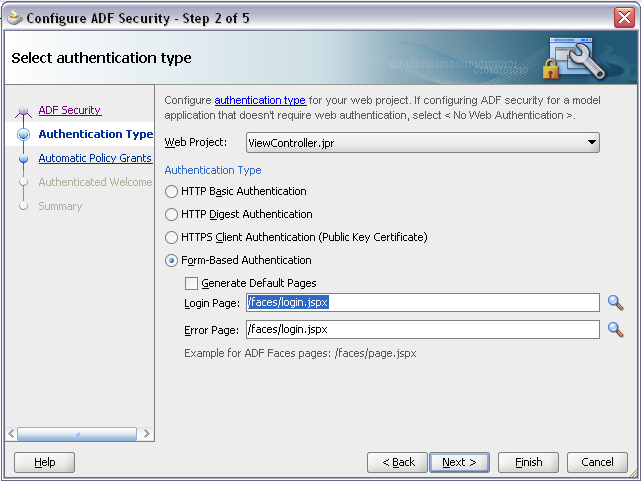 Its how standard BPM 11g functionality can be integrated and accessed from portal environment, where our custom ADF 11g applications are accessible as well.